Atlantis is the subject of a legend about an advanced island civilization that was destroyed or lost. Stories about Atlantis are first mentioned in Plato's dialogues Timaeus and Critias, in which characters say it was destroyed by an earthquake or a tsunami about 9,000 years before the time in which Plato wrote. The story claims Atlantis was somewhere outside the Pillars of Hercules. According to Plato, the story originated with Ancient Egyptian priests. Some people believe that the stories are fictions made up to serve the purposes of Plato's dialogs. But others take them as if they were serious historical accounts. There have been dozens — perhaps hundreds — of locations proposed for the classical Atlantis. Some are more-or-less serious attempts at legitimate scholarly or archaeological works; others have been made by psychic or other pseudoscientific means. As continental drift became better understood and accepted during the 1950s, most "Lost Continent" theories of Atlantis have been proven conclusively false. Some cultures have "lost civilization" myths. In some cases, it has been argued that there is a common historical event or real "lost civilization" at the root of some or all of these legends, but there is considerable disagreement between the competing hypotheses. It may be that these legends have arisen from many different historical events, and are only just now being associated by modern theorizers because of their similarity. It may also be that these legends are entirely fictional, but for some reason have arisen and remained popular in many different cultures at different times. by Athanasius Kircher, Amsterdam 1665. How do we know about Atlantis? Timaeus and Critias, two of Plato's dialogues, are the only existing written records which specifically refer to Atlantis. The dialogues are conversations between Socrates, Hermocrates, Timaeus, and Critias. Apparently in response to a prior talk by Socrates about ideal societies, Timaeus and Critias agree to entertain Socrates with a tale that is "not a fiction but a true story." The story is about the conflict between the ancient Athenians and the Atlantians 9000 years before Plato's time. Knowledge of the distant past apparently forgotten to the Athenians of Plato's day, the story of Atlantis was conveyed to Solon by Egyptian priests. Solon passed the tale to Dropides, the great-grandfather of Critias. Critias learned of it from his grandfather also named Critias, son of Dropides. Edgar Cayce predicted the discovery of an Atlantean "Hall of Records"
the right, front paw of the Sphinx. The following segment was taken from Cayce, Edgar "On Atlantis" New York: Warner Books, 1968. ...[the entity] was among the first to set the records that are yet to be discovered or yet to be had of those activities in the Atlantean land, and for the preservation of data that is yet to be found from the chambers of the way between the Sphinx and the pyramid of records. Q.2: Give in detail what the sealed room contains. New York: Warner Books, 1968. Nearly twenty-four hundred years ago, the Athenian philosopher Plato penned one of the most controversial and tantalising stories ever written. Once upon a time, he said, there had existed a magnificent seafaring civilisation which had attempted to take over the world, but had perished when its island sank into the sea – the result of an unbearable cataclysm of earthquakes and floods. This civilisation had been called Atlantis, and it had heralded from the Atlantic Ocean, taking its name from the god Atlas who presided over the depths of the sea. Its main island had sunk some nine thousand years before the time of Solon, circa 9600 BC by our modern-day system of reckoning. The puzzle of Atlantis is this. On the one hand, Plato was adamant that the island had sunk in the Atlantic Ocean, and equally adamant that the story was absolutely true. And yet, on the other hand, modern scientists have mapped the floor of the Atlantic Ocean, using echo sounders, ‘Geosat’ radar and multibeam sonar, and found no trace whatsoever of any sunken island. The result is a deadlock on how to decipher the story. Some argue that it is a myth, of uncertain meaning. Others argue that it is a moral and political fable. And others, still, continue to argue that it is pure history, and that Plato simply got his geographical facts wrong. Atlantis started with Plato and in his hands it was never a supercivilization of the sort conjectured by later authors; perhaps in strictly Greek terms it was no civilization at all but rather a fatally luxurious elaboration of an essentially barbarian way of life, for all its inception by a god. At all events, it was no seminal civilization: it wasn't the fons et origo of all later civilizations in the world, indeed Athens was its independent contemporary. Both Atlantis and old Athens were, for Plato, but episodes in the ever ongoing cycle of catastrophes and renewals that he saw as the most rational and scientific interpretation to which the world of human experience could be subjected. For him, science and religion were quite bound up together, so that the natural catastrophes were at the same time eras in which the divine light was withdrawn from the world and the equally natural renewals were times when it returned. So rational and obviously true was this scheme of things to Plato that the "problem" of the real historical location and fate of Atlantis that has exercised so many writers after him would have left him cold, or perhaps amused to think of what he had started. We quoted early in this book several passages of Plato to show how he handled stories in his works. Time and time again the vessel shattered against the fury of the “wandering stones”, and for as many times men stubbornly restarted weaving the thread of their everlasting wander. Obscure Penelopes of the knowledge, stimulated by an unequalled curiosity, they wanted to tear open the veil that divides the cave from the light, breaking the archaic code of prohibitions, whilst placing themselves as the sole part of becoming. On one side strength, on the other the longing for knowledge. On one side the old world of Atlantis and of Dorian conquerors, on the other the innovation introduced by the fullness and dignity of the symbolic universe of Hellenics. So there are the Pillars of Hercules… and there is Odysseus. There is taboo… and there is the ancient dream of man. For us, today, the outermost frontier is represented by the cosmos… our ancestors found such frontier on the dark wave next to the farthest barrier of that which was in those times their sensible universe: at that time, an inviolate and inexplicable sea. Read the entire article [PDF] on Atlantis: Dr.Rosario Vieni - "11,500 years ago ... "
The following 4 segments contain excerpts from the full length articles listed below. "This is probably the greatest discovery in World history", was stated by Maxine Asher, the co-director of a scientific expedition that found Atlantis at the bottom of the ocean, reported United Press International and major newspapers in the United States during the summer of 1973. UPI continued that "Maxine Asher said that scuba divers found data to prove the existence of the super-civilization which legend says sank beneath the sea thousands of years ago". "The divers had found evidence of roads and large columns, some with concentric spiral motifs, in the exact place described by the Greek philosopher Plato". "The group of some 70 scientists, teachers and adventurers was endorsed by Pepperdine University in Los Angeles, California." The document "History of the Golden Ages" reveals over 30 ruins including pyramids, domes, paved roads, rectangular buildings, columns, canals and artifacts that have been found on the ocean bottoms from the Bahamas to the nearby coasts of Europe and Africa, referencing the vast size of the lost continent. Dozens of historians and famous writers wrote about the Atlantis they believed existed, how the Myans and Aztecs had told their conquerors that they came from Atlantis and Mu, about ancient tablets photographed in Peru showing those two lost continents, Atlantis and Lemuria, and ancient maps clearly showing Atlantis. A pyramid explored by Dr Ray Brown on the sea floor off the Bahamas in 1970. Brown was accompanied by 4 divers who also found roads, domes, rectangular buildings, unidentified metallic instruments, and a statue holding a "mysterious" crystal containing miniature pyramids. The metal devices and crystals were taken to Florida for analysis at a university there. What was discovered was that the crystal amplified energy that passed through it. Ruins of roads and buildings found off Binini Island in the 1960's by the photographed and published expeditions of Dr Mansan Valentine. Similar ruins were also photographed off Cay Sal in the Bahamas. Similar underwater ruins were found off Morocco and photographed 50 to 60 feet underwater. A huge 11 room pyramid found 10,000 feet under water in the mid Atlantic Ocean with a huge crystal top, as reported by Tony Benlk. A 1977 report of a huge pyramid found off Cay Sal in the Bahamas, photographed by Ari Marshall's expedition, about 150 feet underwater. The pyramid was about 650 feet high. Mysteriously the surrounding water was lit by sparkling white water flowing out of the openings in the pyramid and surrounded by green water, instead of the black water everywhere else at that depth. A sunken city about 400 miles off Portugal found by Soviet expeditions led by Boris Asturua, with buildings made of extremely strong concrete and plastics. He said "the remains of streets suggests the use of monorails for transportation". He also brought up a statue. A marble acropolis underwater across five acres of fluted columns raised on pillars. Heinrich Schilemann, the man who found and excavated the famous ruins of Troy (which historians thought was only a legend), reportedly left a written account of his discovery of a bronze vase with a metal unknown to scientists who examined it, in the famous Priam Treasure. Inside it are glyphs in Phoenician stating that it was from King Chronos of Atlantis. Identical pottery was found in Tiajuanaco, Bolivia. Many other examples of roads, buildings and columns are available, many of them made with materials not available in their areas. Many ancient maps are also known to have Atlantis on them, including the ancient Greek ones studied by Christopher Columbus before he set sail for America. Ancient writings from the Aztecs, Myans, Greeks, Egyptians, Spain, India, Tibet, and islands in the Atlantic and Pacific oceans all speak of ancient sunken continents and their connection to them. Human footprints and shoe prints, a perfectly engineered cube, jewelry, a prehistoric animal with a hole in its skull that scientists admit only a bullet could make, a remnant of a screw, and other modern artifacts have been found in layered rock strata geologists admit formed on these objects MILLIONS of years ago. All of these discoveries were printed in public daily newspapers when they occurred, and left out of history books simply because historians could not explain them with THEIR theories. Firstly, it's important to point out that Atlantis was not the only continent from ancient times that sank beneath the waves. There was the huge continent of Lemuria which also incorporated other countries like Mu and Mar in the Pacific Ocean, and Lumania in the Indian Ocean. Remnants of the lost continents may still be seen as the peaks of their mountains make small islands in the middle of vast oceans - Easter Island is thought to be a remnant of Lemuria and still bears the great stone statues, though only their heads are showing above the ground. There were also the lands of Thule and Hyperborea in the north, which are believed to be sunk below what is now the north pole. There is also information about this land at the north pole continuing to exist today on a fourth dimensional level - but that's another story. Also the land which is now at the south pole was also thought to be once inhabited when it was a tropical land. The story of how these various continents became inhabited with highly advanced civilizations is a fascinating one, but after many thousands of years it all came to an end for the last time around 11,500 years ago with dramatic planetary events which sank and shifted continents and covered much of the earth with water. Clues to the history on earth before our own recently recorded history can be found in the Sumerian texts. So who were the Atlanteans and how did they live? The following information has been gathered from various sources for a very brief introduction. I recommend that you read the original documents for more in-depth information [linked at the bottom of the page]. The original Atlanteans were of extra-terrestrial origin and came to earth over 50 thousand years ago. They were of human shape, but not modern earth humans as we are. They were very tall and fair skinned and probably originated from the Lyrian star system. They are also known as the Elohim or Annunaki and their story is hidden in the texts of Genesis. They had life spans of around 800 years and are known in some texts as 'the tall ones'. Most all ancient civilizations believed in the Titans, the race of giant humans that inhabited Earth long ago. Different races knew them by different names. These 7 to 12 foot humanoids were thought to be legendary until the excavation of over a dozen skeletons 8 to 12 feet tall, around the world, shocked archaeologists. The Spanish Conquistadors left diaries of wild blond-haired, blue eyed 8 to 12 foot high men running around in the Andes during the conquest of the Incas. They, along with other groups working on the planet, eventually developed the smaller human being by genetic manipulation, originally for use as workers. The 'Adamu' (or man) were originally created to work in various projects around the world. Some of these were mining, food production, construction, etc. By giving man the ability to reproduce on his own (the original sin), the population began to multiply quite rapidly. The Annunaki began to clamor for more of the workers. Human females were further altered so that conception was possible not once per year, but every 28 days. This can be found in Genesis, Chapter 3, Verse 16. The Annunaki soldiers eventually started to reproduce with the earth human females: "When the sons of the Elohim came unto the daughters of man, and they bore them children". The Atlantean consciousness eventually evolved from a less material, fourth-dimensional form toward the sensual, or physical. Far from being like the other 'ancient' civilizations that we know about, the level of technology reached when Atlantis was at its' peak was far superior to our own. Among the accomplishments of the Atlanteans, for example, was 'perfect' wather control. Now the average immediate notion is of abundant fields of waving grain in endless summer alongside the most beautiful of beaches. They had that, and it bored them; too utilitarian to them, like we might look at a vineyard. They left such backlands to the serving creatures. The Atlanteans had come into the physical world essentially for the stimulation. They loved storms. Whole areas of their land were given over, like national parks, to violent displays of atmospheric turbulence. Their servants, of course, were less fond of these events, which could kn the equivalent of "artisitc licence" spill over and kill them, destroy their homes, etc. If the Atlanteans noticed and/or cared, they could restore all this damage at will. Some did, some didn't. They also had the ability to effect geological events for their experiential pleasure. Volcanic fountains were a favourite, but much was done with steam and mineral venting for artistic result. They had plenty of time. The earlier ones were still immortal. More than one volcanic seamount poking its head above the waters of the Atlantic Ocean started out this way. Later, of course, they lost control. The real core of Atlantean technology that can still be dug up around the earth was far beyond something as simple as weather control. What has attracted the military like carrion is the 'threshold' technology. Some hint of this floated up in the movie 'Stargate', except that the Atlantean version could be called 'Probability Gate'. It's a solid state device (with no selectable 'dial' like the stargate in the movie, for instance) that uses what we think of as time/space as an energy source. The threshold is a lens into probable existence streams, or continua. This area was delved into more deeply with research like the Philadelphia Experiment. The Atlanteans used crystals quite extensively, and mis-used them to such a degree that they eventually led to the catastrophe which caused Atlantis to disappear into the ocean. 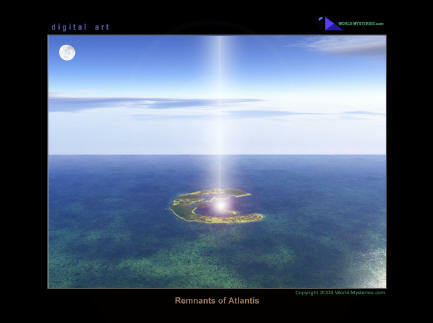 The Atlanteans used the knowledge of the crystal refraction, amplification and storage. It is known that a beam of light directed intensley and focused specifically on certain series of facets in a gem will, when it exits from the reflective plane of the gem, be amplified rather than diminished. And further, these amplified energies were broken down into a wide and sophisticated spectrum. The Atlanteans used the spectrum of this energy so as to be more useable, and for a specific purpose, much as one would use petoleum in terms of its various spectrum limitations for specific purposes. Extracting this and that and other things from the same basic substance, they used certain divisions of the energy for growing things. Others for healing, others for knowledge or increasement of substance. Other phases of spectrum for dissassembling molecule structures, and yet other combinations of these strata for building, assembling structures, as in chains; or producing matter, transmutation of matter and that sort. Their basic technology is still available in the earth plane in various locations. Crystals have the ability to transfer energy, to retain it, to maintain its intensity, to focus and transmit it over great distance to similar receivers as are equal or comparable to the transmitter. Thus, from one pyramid to another the Atlanteans, in a sense, transmitted energy. That when the face of the earth was directed toward a certain point, one pyramid would function to intensify and transmit energies to other pyramids which would then act as receiving devices and would disperse energy as it was needed. The opposite would be true, when that pyramid was at unfocusable point to their celestial alignment the others would transmit to those. Very simple method, very effective method. Though it brought them many difficulties later. Atlantean crystals were natural forms, but their growths were speeded up. Some specimens of clear quartz were produced to almost 25 feet high and 10 feet in diameter, had 12 sides and were used for storing and transmitting power. Small crystals, four to five feet high were infused with different colours, and had a varied number of facets, to be used for different purposes, such as healing, meditation, psychic development, increasing mental capacity, communications, powering generators, dematerialisation, and transport of objects, magnetic force fields, and travel at speeds undreamed of by our culture today. A number of crystals were shaped into invered pyramids, with four to six sides, were infused with various shades of pink or rose, which created a light beam for surgery, by changing molecular structure, and for soothing pain, particularly in the delicate areas of the brain, the eyes, the heart and reproductive organs. Gold or yellow crystals changed colours to deeper hues in the presence of disease or bodily vibrational disorders. Ruby and purple stones helped cure emotional and spiritual problems; and black crystals, no longer in existence, were powerful protectors. For general rejuvenation and a return of vitality the ancient Atlanteans periodically meditated 15 to 20 minutes inside a circle of 6, 11, 22 or 24 stones of different types, holding a clear quartz in their hands, which acted as a control and focaliser. All these various crystals received their power from a variety of sources, including the Sun, the Earth's energy grid system, or from each other. The larger stones, called Fire Crystals, were the central receiving and broadcasting stations, while others acted as receivers for individual cities, buildings, vehicles and homes. On a higher spiritual level, rooms made of crystals were places where the Initiates left their bodies in the Final Transcendence, often never to return. In the modern Bermuda Triangle, on the ocean bottom where the ruins of Atlantis now exist, the energy build-up in the sunken and damaged Fire Crystals can periodically trigger dematerialisations of anything in the area. One of the most detailed descriptions of the Atlantean use of a mysterious instrument called the Great Crystal was given by Edgar Cayce, who mentioned it many times. The crystal, he said was housed in a special building oval in shape, with a dome that could be rolled back, exposing the Crystal to the light of the sun, moon and stars at the most favourable time. The interior of the building was lined with non-conducting metal or stone, similar to asbestos or bakelite, a thermosetting plastic. The Crystal itself, which Cayce also called the Tuaoi Stone, or Firestone, was huge in size, cylindrical in length, and prismatic in shape, cut with six sides. Atop the crystal was a moveable capstone, used to both concentrate incoming rays of energy, and to direct currents to various parts of the Atlantean countryside. It appears that the Crystal gathered solar, lunar, stellar, atmospheric and Earth energies as well as unknown elemental forces and concentrated these at a specific point, located between the top of the Crystal and the bottom of the capstone. The energy was used for various purposes. In the beginning it was used as purely a spiritual tool by initiates who could handle the great energy. The early Atlanteans were peaceful people. As they developed more physical material bodies, they used the crystal to rejuvenate their bodies and were able to live hundreds of years while maintaining a youthful appearance. Later the Crystal was put to other uses. Currents of energy were transmitted throughout the land, like radio waves, and powered by these, crafts and vehicles traversed the land, through the sky and under the sea at the speed of sound. By utilisation of other currents originating from the Crystal, the Atlanteans were also able to transmit over great distances the human voice, and pictures, like modern television. In the same manner, even heat and light could be directed to specific buildings or open arenas, giving illumination and warmth by seemingly invisible means. Toward the end of their existence, however, the Atlanteans became greedier for more power, the operation of the Crystal was taken over by those of less spiritual fortitude, and the energies of the Great Crystal were tuned to higher and more destructive frequencies. Finally the Crystal was tuned too high, activating volcanoes and melting mountains, ultimately causing the submergence of Atlantis, and perhaps even the axis shift of the Earth itself. Gene D. Matlock deeply searches and analyses different cultures also comparing with Vedic (vaydik, Sanskrit: वेद)) ancient culture of Asia, quite common over India to Japan passing through Tibet and China, finding outstanding curious similarities among all cultures among the globe when all where in the mythical "golden age". He compares linguistically the different languages he analyses; western, eastern, ancient Native American and other languages. He says that with this method , used long before him by others linguist, and exploring deep in etymology, he finds impressive similarity between the myths from ethnies around the world circa the copper age, bronze age or other ancient times he refers to in his papers. He finds links between Maya, Native American and Asian ethnicities, oral tradition and ancient cultures. Quote:_"Should we continue our fun guessing games about Atlantis for another few millenniums? Or should we confidently begin our search for the submerged half of Atlantis from Atlántepec's (Mexico's) southeast coast? Will the ruins that we'll surely find be those of the real Atlantis?" Atlán, Autlán, Mazatlán, Cihuatlán, Cacatlán, Tecaltitlán, Tihuatlán, Atitlán, Zapotlán, Minititlán, Ocotlán, Miahuatlán, Tecaltitlán, Tepatitlán, Tihuatlán, Texiutlán, and the like. 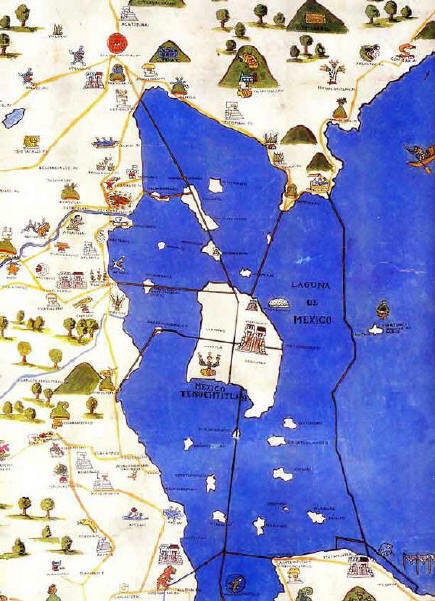 Notice that the Nahuatl Tlán root of these place names is exactly like the Tlan in "Atlantis." He also cites an ancient, spiral-shaped harbor with high banks or dikes lining the channels that once existed near San Lorenzo Tenochtitlán, Mexico. This layout is very much like that described by Plato for Atlantis's great port city. When Gene D. Matlock was seven years old, he became deathly sick from pneumonia. His mother prayed that if he survived, she would dedicate him to the study of theology. She never suspected Gene's studies would lead him to "no-no" conclusions not welcome in Sunday School, the mosque, and the synagogue. Matlock says that the linguistic revelations comparing different cultures are astonishing. That we are and always have been a global community from the very beginning of civilization. He says: "When I was a young college student in Mexico, I took a course in linguistics. This course and my experiences in studying Spanish, Portuguese, Malay, and Nahuatl, taught me that a word is much more than a combination of strange sounds. Each one tells the history of the people who use it." According to Matlock, the secret surrounding the location of Atlantis -- and thus, proof that it really existed -- can be traced back to the forbidden letter. He then tries to link everything with the ancient roots of "Panch" , Panis, Phoenicias and Hebrews, linking many things according to his research, but many scholars don't agree with this. Modern game fictional characters like Gill (Street Fighter), and Urien (Street Fighter) are examples of the fantasy Atlantis may arise in subconcient, has it has being for many years a source of mystery and inventions. More than 25,000 books, plus countless other articles have been written about a fabled confederation of city-states known as Atlantis. If it really did exist, where was it located? Does anyone have valid evidence of its existence artifacts and other remnants? According to historian, archaeologist, educator and linguist Gene D. Matlock, both questions can easily be answered: Only Mexico is named Atlan; Itlan; Otlan; Tlan; Tollan, etc. No other nation on earth can make that claim. Since this is the case and every nation on earth is what it is, Atlantis is Atlantis! This is the ultimate book on Atlantis. Well written (though hard to understand at times due to the 19th century grammar), well researched, and very informative. Required reading for anyone interesting in Atlantis. E-Book - ready for download. The most comprehensive reconstruction of the history and fate of the legendary ancient civilization of Atlantis. * Draws together compelling evidence from geology, astronomy, myths, and ancient texts to prove the existence of Atlantean civilization and its catastrophic end. * Includes a vivid narrative that re-creates the last days of Atlantis. * Represents 20 years worth of research across the globe. All human cultures, from classical and biblical to native North and South American, share the myth of an ancient deluge, often coinciding with a rain of fire from the heavens. What accounts for this shared myth of environmental catastrophe? Now, in The Destruction of Atlantis, author Frank Joseph links this worldwide cultural phenomenon to the story of the lost civilization of Atlantis, which in a single day and night disappeared into the sea in a violent cataclysm. In the most comprehensive account of this legendary island, Joseph provides compelling evidence that Atlantis was at the root of all subsequent human civilizations. Brilliantly refuting years of modern skepticism, Joseph combines evidence from archaeology, geology, astronomy, and ancient lore to locate Atlantis in the context of Near Eastern Bronze Age society at the end of the 13th century B.C. The author seamlessly combines hard scientific evidence with a stunning imaginative re-creation of what it must have been like to walk the streets of Atlantis in its last days. The resulting portrait of a mighty empire corrupted by an overreaching lust for wealth and power offers an important lesson to our own materialistic civilization poised on the brink of ecological disaster. Andrew Collins has spent more than twenty years investigating the relationship between paranormal phenomena, ancient sites, and the human mind. He is also the widely heralded author of Gods of Eden and Gateway to Atlantis. He lives in England. A historian's investigation that may have solved one of humankind's greatest and most enduring mysteries: the location of the "Lost City" of Atlantis. More than 2,350 years ago Plato wrote of the fabulous island empire of Atlantis, which ruled the ocean as well as parts of the "opposite continent" - what we know today as the Americas - until the single "terrible day and night" that destroyed it in a storm of earthquakes and floods. For two millennia the fate of Atlantis has fascinated historians, philosophers, and explorers who have debated its reality and searched in vain for a kingdom shrouded in myth and legend. And now, after years of travel and research, Andrew Collins has gathered convincing evidence that may establish not only that Atlantis did indeed exist but also that remnants of it survive today. Collins's journey into the past follows the clues left by Plato, and they take him far beyond Crete and the Mediterranean, where scholars in recent times have located Atlantis. So do mummies in Egypt, Roman wreckage in the West Atlantic, the African features of great stone heads in Mexico, and the explosion of a comet 10,500 years ago. Collins's final destination will shock the experts and amaze all readers. As a former police chief, Jacques Hebert enjoys a good mystery. That’s why he chose to take up archaeology as an avocation. These pursuits led him to look for a solution to the age-old mystery of Atlantis. In Atlantis Rediscovered, Hébert reveals the results of his rigorous research and training as a detective. The author’s work relied heavily on analyzing Plato’s dialogues, which are among the earliest record of the famous “lost continent.” He shows how he discovered a misinterpretation of Plato’s work that confused the identification of the continent’s location. He goes on to show why a different reading places Atlantis in an unexpected setting. Compared to previous theories, his is the first that is in complete harmony with the writings of Plato, up to and including descriptions of the vegetation. As a result of Hebert’s painstaking analysis, the myth is demystified. The author’s victory is palpable as the reader follows his discoveries step by step in a book which reads like a novel. With the results validated scientifically, his work is likely to call into question some fundamental historical concepts. This book offers a step-by-step disputation of the myth of Atlantis. It takes the reader through a detailed analysis of the Platonic dialogues, uncovering a probable misunderstanding of a transcript of an Egyptian priest that Plato relied on. This leads the author to conclude that the Atlantic people probably did not die out entirely but more likely were the ancestors of the Phoenicians' highly successful maritime civilization. Atlantis Rediscovered has just been released by Carnot USA Books. Carnot USA Books is a dynamic new publisher of original trade paperbacks targeted at the American experience as well as nonfiction and fiction titles focused on such global topics as current events, crime and mystery, the arts and classics. Based in New York City, Carnot USA Books is a wholly owned subsidiary of Editions Carnot, one of France’s fastest growing publishers. Carnot’s books are translated into 30 languages and distributed in over 50 countries. (2001) In this book you will find a complete decoding not only of Plato’s lost continent of Atlantis but also of the entirety of Greek myths, mysteries and mysticism – all decoded in the light of Alan Alford’s exploded planet hypothesis. ‘The Atlantis Secret’ has been acclaimed as ‘a striking new hypothesis’ by Professor Christopher Gill, an expert on Plato and Atlantis, who has contributed a Foreword to the book. In The Atlantis Secret (Eridu Books, 2001), the author suggests a new solution to this age-old mystery. The essence of his theory is that the story of Atlantis – or strictly speaking the story of the war between Ancient Athens and Atlantis – was an allegory for the myth of the creation of the Universe. Or, in other words, an encrypted account of a secret tradition which had been preserved for millennia by the mystery schools of Egypt, Mesopotamia, and Greece. In this way, Plato’s story of Atlantis may be seen as a ‘true story’. For the ancients sages believed that the myth of creation was an absolutely true account of how the Universe had been brought into being. Provides convincing evidence that angels, demons, and fallen angels were flesh-and-blood members of a giant race predating humanity, spoken of in the Bible as the Nephilim. * Indicates that the earthly paradise of Eden was a realm in the mountains of Kurdistan. * By the author of Gateway to Atlantis. Our mythology describes how beings of great beauty and intelligence, who served as messengers of gods, fell from grace through pride. These angels, also known as Watchers, are spoken of in the Bible and other religious texts as lusting after human women, who lay with them and gave birth to giant offspring called the Nephilim. These religious sources also record how these beings revealed forbidden arts and sciences to humanity--transgressions that led to their destruction in the Great Flood. Andrew Collins reveals that these angels, demons, and fallen angels were flesh-and-blood members of a race predating our own. He offers evidence that they lived in Egypt (prior to the ancient Egyptians), where they built the Sphinx and other megalithic monuments, before leaving the region for what is now eastern Turkey following the cataclysms that accompanied the last Ice Age. Here they lived in isolation before gradually establishing contact with the developing human societies of the Mesopotamian plains below. Humanity regarded these angels--described as tall, white-haired beings with viperlike faces and burning eyes--as gods and their realm the paradise wherein grew the tree of knowledge. Andrew Collins demonstrates how the legends behind the fall of the Watchers echo the faded memory of actual historical events and that the legacy they have left humanity is one we can afford to ignore only at our own peril. The fascinating truth about Atlantis leads to a chilling conclusion about the environmental catastrophe that destroyed it. Now you can find out how the forces that shattered the first great civilization on Earth can happen again, bringing the end of the world to us all! With an Introduction by Colin Wilson. The authors' hypothesis, that the remains of Atlantis may be found beneath the ice of lesser Antarctica, is amazing but believable. They build on Charles H. Hapgood's work on earth crustal displacement and his study of ancient sea maps (which show the (ice-free) Antarctic coast long before its discovery in the eighteenth century); the amazing similarities in mythological accounts of floods and other disasters from around the world; the astonishing "outbreak" of agriculture in elevated areas; the account of Atlantis in Plato's Timaeus; and more. This book is an important accompaniment to the studies of Bauval, West et al on pre-pharoanic Egyptology, and those of Tompkins and Coe on the pre-Mayan civilisations. 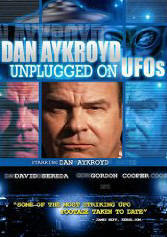 It is not a "new-age" or pseudo X-files book but a serious investigation of certain events and accounts. If you find a copy, buy it. For decades, schoolbooks have taught that Sumer was the cradle of civilization. conventional scholarship has also held that Aryan civilization came to India by way of invasions from the north. In Search of the Cradle of Civilization: New Light on Ancient India is a ground-breaking book wherein three renowned scholars show that there was no "Aryan invasion", and that India, not Sumer, was the cradle of civilized humanity. Through exploring the rich symbols, metaphors, and myths of the Vedas, we can examine the wealth of India's spirituality and discover its relevance for today's world. The legend of lost Atlantis turns to fact as Shirley Andrews uniquely correlates a wealth of information from more than 100 classical and Atlantean scholars, scientists, and psychics to describe the country and its inhabitants. A MUST READ for all who are intrigued by the legendary lost continent of Atlantis! This is a book you will enjoy reading and will want to share with your friends. Shirley Andrews has brought together an extraordinary body of supportive information to lift our thoughts beyond myth to the real possibility that Atlantis existed! This book is thoroughly researched and presents many points of view from the scientific to the metaphysical. Atlantis comes to life through the clear and skillful writing of Ms. Andrews. You will easily imagine this beautiful continent and learn of its great history, advanced culture and the high evolution of its people. You'll learn of their customs and beliefs, their entertainment, education, government, religion, aviation, medicine, energy and more. You will gain insight into the location of Atlantis, what problems befell it and what caused its ultimate demise. Even the most skeptical reader will have to reflect on this great body of exciting and convincing evidence. This is truly an exceptional book! The most interesting part of this book is the portions that talk about the fall of mankind on how and why it happened. It talks about the sons of God coming down to Earth to take wives. Large men and beings are the result that threaten to take over all of mankind. This may sound a little far fetched until you find supporting stories in Genesis Chapter 6 in the Bible and in the Dead Sea Scrolls. It also talks about the dissemination of knowledge throughout the world which would explain the 356 day calendar that you see in part of Mexico passed down from the Aztecs and amongst the Hopi Indian tribes in the United States. The author/editor provides us with a translation of ancient texts from India which purport to describe aircraft construction and operation. He then makes comments about the subject, including excerpts from related works. The point is that, according to Childress and others, the ancient civilization of India had made technological advances equalling and perhaps surpassing our own before it was mysteriously destroyed --perhaps in a nuclear war! The Great Pyramid. Stonehenge. Machu Picchu. For centuries, these and other sacred sites have inspired wonder among those who ponder their origins. Conventional science tells us they were constructed by local peoples working with the primitive tools of a fledgling civilization. But these megaliths nonetheless continue to attract pilgrims, scholars, and adventurers drawn by the possibility that their true spiritual and technological secrets remain hidden. Who could have built these elaborate monuments? How did they do it? And what were their incomprehensible efforts and sacrifices designed to accomplish? Now comes a revolutionary theory that connects these mysteries to reveal a hidden global pattern--the ancient work of an advanced civilization whose warnings of planetary cataclysm now reverberate across one hundred millennia. International bestselling author Colin Wilson and Canadian researcher Rand Flem-Ath join forces to share startling evidence of a fiercely intelligent society dating back as much as 100,000 years--one that sailed the oceans of the world, building monuments to preserve and communicate its remarkable wisdom. The Atlantis Blueprint is their term for a sophisticated network of connections between these sacred sites that they trace to Atlantis: a sophisticated maritime society that charted the globe from its home base in Antarctica...until it was obliterated by the devastating global changes it anticipated but could not escape. Here is adventure to realms beyond our imaginings...to shifting poles, changing latitudes...into the world of ancient mariners who recharted the globe...to astonishing discoveries about our ancestors. Here are the great mysteries...the incredibly complex geography of the Temple of Luxor...the startling sophistication of Egyptian science and math...and tantalizing similarities among the Hebrew, Greek, and Mayan alphabets to the Chinese lunar zodiac. The Atlantis Blueprint opens up a Pandora's box of ancient mysteries, lost worlds, and millennial riddles. It is a story as controversial, fascinating, dangerous--and inspiring--as any ever told. Plato provided 53 physical clues in his famous dialogue Critias-the original account of the story of Atlantis that is the sole basis of all Atlantis research. Discovery of Atlantis proves that the island of Cyprus and the underwater landscape just south of Cyprus is a perfect match with 51 of these clues. Exclusive 3D bathymetric maps based on new scientific data show for the first time a stretch of sunken land off of Cyprus. The general layout of the landscape of Atlantis as described by Plato is easily discernible on this underwater land mass, as well as the precise location of its capital-Atlantis City. This robust empirical data is joined with other original findings based on mythological analysis and historical research, making the case for Cyprus increasingly obvious. With this compelling new interpretation of Plato, author Robert Sarmast brings the legendary island of Atlantis alive for the first time. With the location so clearly mapped in this book, the next step in this exciting research is an expedition to the region. Humankind may soon witness the filming of the colossal ruins of this once-mighty empire and proceed to resurrect Atlantis from its watery tomb! The son of wealthy and influential Athenian parents, Plato began his philosophical career as a student of Socrates. When the master died, Plato travelled to Egypt and Italy, studied with students of Pythagoras, and spent several years advising the ruling family of Syracuse. Eventually, he returned to Athens and established his own school of philosophy at the Academy. For students enrolled there, Plato tried both to pass on the heritage of a Socratic style of thinking and to guide their progress through mathematical learning to the achievement of abstract philosophical truth. The written dialogues on which his enduring reputation rests also serve both of these aims. The creators of this site believe Atlantis is to be found beneath the South China Sea, and have attempted to provide evidence to support this claim. The web page of Gilbert De Jong, a Dutch landscape designer with a penchant for the unexplained. His balanced personal exploration takes on 'quest' proportions, and he discusses various mysteries, some familiar to us, others not. Most intriguing of all is his placing of Atlantis at El Fuerte - the site on the Canary Islands recently brought to the world's attention by Thor Heyerdahl - using the Piri Re'is map as evidence. This, the Sunken Civilizations web-site, is devoted to the "study of Atlantis and other alleged sunken civilizations". It contains general articles on the role of catastrophism, astronomy, archaeology and paleontology, and other fields. Dedicated to exploring all possibilities of homelands for a lost civilization, this open-minded site maintains articles on all favorite theories suggested in recent times, from Antarctica to the Pacific. It also gives a history as to the research done into Atlantis since Plato's first musings in Timaeus and Critias, complete with a diagram of how it would have looked according to his descriptions. The Institute of Metahistory in Russia. Aims to promote interdisciplinary cooperation on the history of human civilisation, a field of knowledge which it regards as too full of gaps. It will eventually contain sections on Atlantis, the ancient megaliths of the earth, protolanguage and protoscript, and the 'Golden Age'. However, at this time the latter three are still under construction. Includes a very detailed look on Viatcheslav Koudriavstev's celebrated theory of the Celtic Shelf being the Origins of Atlantis. Visit related link Hypothesis on Plato's Atlantis. This site presents Jim Alison's fascinating investigation of the geodetic relationships between ancient cultural centres, and highlights 'Atlantis-candidates' suggested by geodetic analysis. Offers scientific proof arguing the existence of Atlantis, with the true location of Troy, Lanka, the Garden of Eden, the Island of Avalon, the Garden of the Hesperides, the Holy Land as well as Paradise thrown in for good measure. Tries to conjure up an image of what Atlantis might have looked like and where it might have been located, primarily on the basis of Plato's Dialogues. Provides a brief history of the Atlantean myth and modern efforts behind resurrecting it. Offers a useful list of related books, audio, video, software and sites on Atlantis, besides giving a brief background to the mythical civilization of Atlantis. An engaging article trying to prove that Atlanteans were actually extraterrestrial creatures. An article, which tries to present evidence that a previous civilization, possibly Atlantis, existed. This article explains away the Lost Continent with magic. Provides Plato's writings on Atlantis, Atlantean crystals, channeled information and other evidences of the existence of the mythical island. Carries a host of links to interesting sites and books related to Plato's classical story of Atlantis and modern interpretations of his work. Presents an interactive novel called Atlantis: A Tale of the Earth. Includes information on Ignatius Donnelly, who revived interest in the lost civilization of Atlantis. Emails displaying an academic interest in Plato's narration of the destruction of Atlantis and Athens. A thoroughly researched and immensely informative site on Atlantis. http://www.crystalinks.com/atlantis.html - Crystalinks, Atlantis Section. Atlantis. Explore few most popular speculations about this lost continent. Timaeus and Critias - dialogues of Plato.